Wayne State University's Ernest Abel, Ph.D., and colleagues studied coffee consumption and nonmelanoma skin cancer in more than 77,000 white postmenopausal women in the U.S. The women participated in a long-term observational health study that began in the 1990s. When the women joined the study, they shared lots of information about themselves, including how much coffee (decaf or caffeinated) and tea they drank and whether they had ever been diagnosed with nonmelanoma skin cancer. A total of 7,482 women reported ever having nonmelanoma skin cancer. The researchers considered factors including participants' smoking , drinking, age, BMI (body mass index , which relates height to weight), and whether the women lived in the sunny South or further north when the study started. After those adjustments, the researchers found that each daily cup of caffeinated coffee was associated with a 5% drop in the women's odds of reporting nonmelanoma skin cancer. Women who drank six cups of caffeinated coffee per day were 30% less likely than other women to report nonmelanoma skin cancer. Decaffeinated coffee and tea weren't linked to the women's odds of reporting nonmelanoma skin cancer. Like other observational studies, this one doesn't prove cause and effect. 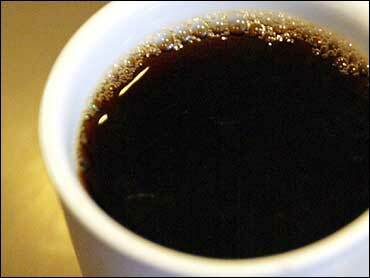 That is, the researchers didn't test coffee to see if it prevents skin cancer. Abel and colleagues didn't have data on which women wore sunscreen or whether the women drank more or less coffee over the years. Also, the findings only show which women reported nonmelanoma skin cancer at the study's start. So it's not clear who developed nonmelanoma skin cancer later. Abel's team calls for long-term studies to track the relationship between coffee and nonmelanoma skin cancer over time. Their findings appear in the European Journal of Cancer Research. In July, other researchers reported that the combination of caffeine and exercise may help fight skin cancer . But Abel's team found that physical activity didn't cut skin cancer risk, perhaps due to sun exposure during outdoor activities.